JJA Home Improvement is a Southern MD licensed home improvement contractor of New or Replacement Entry Doors, Patio Doors and Door Transformations operating in the St Marys County, Calvert County, Charles County and Prince Georges MD areas. St Marys County, Prince Georges County, Calvert County, Charles County, Chesapeake Beach, Sunderland, Charlotte Hall, Mechanicsville, California, Hollywood, Lexington Park, Great Mills, Leonardtown, Clinton, Fort Washington, Accokeek, Temple Hills, Camp Springs, Brandywine, Waldorf, La Plata, Hughesville, Prince Frederick, Lusby, St Leonard, Solomons, Huntingtown, Dunkirk and Owings. 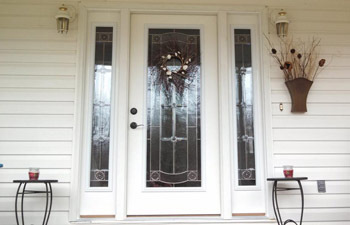 J and J offers many choices in patio, French, and entry and storm doors. You can choose from ThermaTru, Pella, Andersen and Jeld Wen. Whether you just bought your home or want to remodel an older home we have the skills to get the job done. An superior entry door system positively increase the value of a home by creating curb appeal and attracts home buyers while providing security and peace of mind. JJA Home Improvement will design and custom fit doors to stop drafts and insulate the entry of your home and save you from receiving big heating and cooling bills. For a FREE in home door estimate, click here. Steel entry doors add a beautiful, durable entrance to your home with rich and distinctive panel embossment. We offer high-definition style options, a built-adjusting hinge feature and slide-on bottom sweep for an ideal fit. A more affordable way to transform your front entry of your home! If you have been quoted on entry door systems that exceed your budget then consider door transformations. What is that? It is a door makeover for your existing door at usually one of third of the price of other complete entry door replacements. 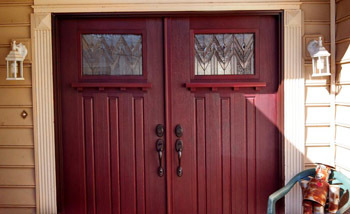 Most exterior doors are manufactured with Steel, Fiberglass or Wood. and JJA Home Improvement has the necessary tools and training needed to transform exterior wood doors. 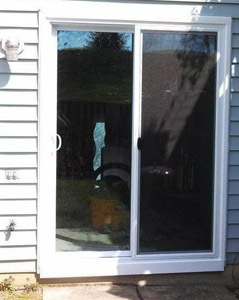 Slight modifications to either the door glass or the door itself may be required to perform this type of door makeover. For a FREE in home door or door transformation estimate, click here.